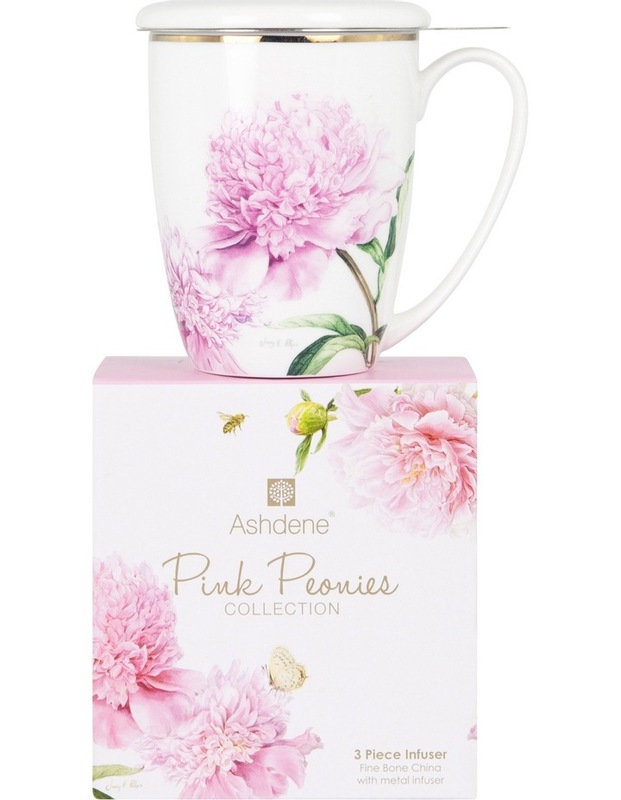 Bring your High Tea table setting to life with Ashdenes Pink Peonies Collection. A timeless classic of the beautiful and much loved Peonies Flower. The soft pink petals and green foliage colour palette are complimented with a hand painted gold rims and boarders. Illustrated by world renowned Botanical artist Jenny Phillips. A Beautiful collectable range, ideal gift for friends and family. The Fine Bone China 3 Piece Infuser is hand wash only and not microwave suitable.